Eddie George — DOME HEADWEAR CO. Forget Taylor Swift and Shania Twain. Eddie George is Nashville’s ultimate crossover artist. The Heisman Trophy-winning running back who brought the NFL to Tennessee has written a brilliant second act to his career where he stars as a leading man on stage, screen, & in studio, as well as serving others as a mentor in the classroom, the board room & the stock market. Eddie’s football career easily could’ve stalled before it started. In high school, he excelled as a star running back, but his home-state football power wanted him to play on the other side of the ball. “I grew up in Philadelphia, and I wanted to go to Penn State and play running back. But they wanted me to play linebacker.” He decided to transfer from his home high school in Abington, PA to Virginia’s Fork Union Military Academy, where he caught the eye of the coaching staff from Ohio State University. The Buckeyes gave George the chance to play running back, and four years later he rewarded that decision by winning the 1995 Heisman Trophy (he also won the Doak Walker Award, the Jim Brown Award, the Maxwell Award, the Walter Camp Player of the Year Award, was the 1995 Big Ten Offensive Player of the Year and voted as a Consensus All-America). His number 27 was retired by Ohio State, and in 2011 Eddie was inducted into the College Football Hall of Fame. 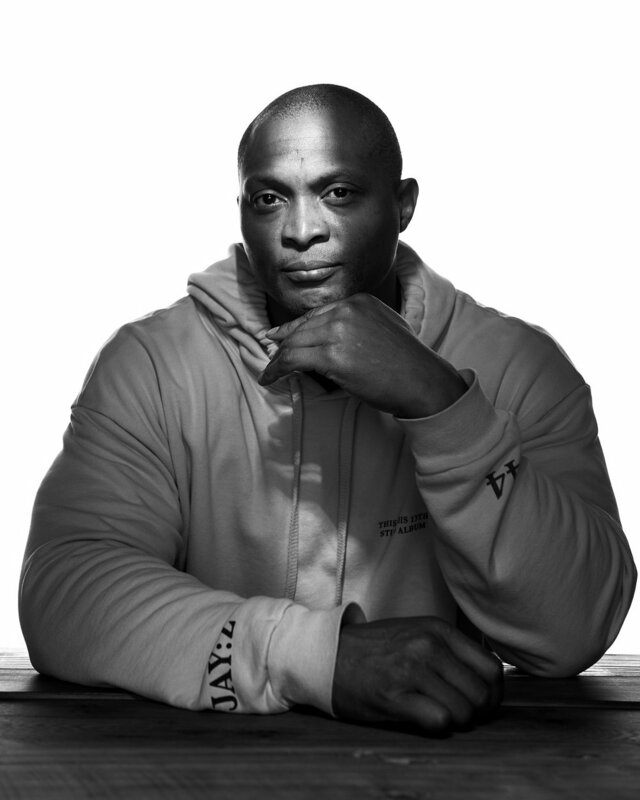 From Fork Union to Columbus to Houston and finally in Nashville, Eddie George achieved and even surpassed the goals he’d set for himself on the gridiron. In 2004, George played his final game as a member of the Dallas Cowboys and retired from the NFL. For so long, he’d found his identity and purpose wearing shoulder pads and a helmet. As with many athletes after their playing career ends, he fought depression as he sought out the next chapter of his life. Fortunately, Eddie’s goals as a young man in high school and college were not totally centered on football. “Being an NFL player was a part of it, but the second half was to get into business, get into acting, and explore my artistic side,” he said. “Just be a complete person and explore and cultivate the dreams that resonated within me. I knew football wouldn’t last me forever, and I had to have a platform where I could build something more substantial.” He started a landscape architecture firm in 2003, which gave him experience as a business owner, but also made him realize he needed to learn more about the finances and structure of running a successful enterprise. He applied to Northwestern University’s Kellogg School of Management but was initially denied. They encouraged him to go back to Nashville and take some basic business courses and re-apply the following year. Eddie spent the next year taking accounting, finance and other business classes at Belmont University and after completing the year with a 3.5 GPA, was granted admission to Kellogg where he graduated, earning an MBA in the Executive MBA Program. As he continued to search for his post-football identity, he seemed a natural fit to be on television as a football analyst. His striking good looks and his nationwide popularity made him an obvious choice for the network TV football shows, and other television & movie roles. But after several auditions, he was struggling to land a job. He sought out an acting coach to help him cultivate his skills, which turned out to be exactly what he needed to help him push through his post-football malaise. “I was fresh out of football, still trying to figure some things out,” said Eddie, “and it was therapeutic that I had gone through those lessons with my acting coach, writing and taking a lot of that pent-up frustration and filtering that out through a character. It was self-healing, and I really fell in love with the art of story-telling.” George has gone on to find success as an actor and television star, including starring alongside Dwayne Johnson in The Game Plan and as a judge on NBC’s American Dream Builders. He has portrayed Othello and Julius Caesar at Nashville’s Shakespeare Festival, and in 2016 he starred in the Broadway production of Chicago. With so many opportunities available to the multi-talented George, he keeps a finite focus on seeking out opportunities in his ‘Three E’s’: Entrepreneurship, Education & Entertainment. “A lot of these things that I try, I failed in the beginning and it didn’t go smoothly,” said Eddie. “But I stayed persistent and I kept listening to my intuition that ‘I could do this.’” He has found a calling in wealth management, and he earned his Series 7 and Series 66 licenses, “which I failed the first time,” he admits with a laugh. Today, as his adopted hometown of Nashville is experiencing its own rebirth, Eddie has become a true Renaissance Man and one of the leaders shaping the future of the Music City. Read and watch more about Eddie here at www.EddieGeorge.com. See a preview of Eddie’s performance as Othello here.